This BriefingsDirect guest post comes courtesy of Jason Bloomberg, managing partner at ZapThink. In our last ZapFlash, The Five Supertrends of Enterprise IT, ZapThink announced our new ZapThink 2020 conceptual framework that helps organizations understand the complex interrelationships among the various forces of change impacting IT shops over the next 10 years, and how to leverage those forces of change to achieve the broader goals of the organization. In many ways, however, ZapThink 2020 is as much about risk mitigation as it is about strategic benefit. Every element of ZapThink 2020 is a problem, as well as an opportunity. Nowhere is this focus on risk mitigation greater than with ZapThink 2020’s six Crisis Points. Of course, life in general -- as well as business in particular -- are both filled with risks, and a large part of any executive’s job description is dealing with everyday crises. A Crisis Point, however, goes beyond everyday, garden-variety fire fighting. To be a Crisis Point, the underlying issue must both be potentially game-changing as well as largely unexpected. The element of surprise is what makes each Crisis Point especially dangerous – not that the crisis itself is necessarily a surprise, but rather, just how transformative the event promises to be. Here then are ZapThink 2020’s seven Crisis Points, why they’re surprising, and why they’re game-changing. Over the next several months we’ll dive deeper into each one, but for now, here’s a high-level overview. Collapse of enterprise IT – Enterprises who aren’t in the IT business stop doing their own IT, and furthermore, move their outsourced IT off-premise. Why is it that so many enterprises today handle their own IT, and in particular, write their own software? They use office furniture, but nobody would think of manufacturing their own, except of course if you’re in the office furniture manufacturing business. The game-changing nature of this Crisis Point is obvious, but what’s surprising will be just how fast enterprises rush to offload their entire IT organizations, once it becomes clear that the first to do so have achieved substantial benefits from this move. IPv4 exhaustion – Every techie knows that we’re running out of IP addresses, because the IPv4 address space only provides for about 4.3 billion IP addresses, and they’ve almost all been assigned. IPv6 is around the corner, but very little of our Internet infrastructure supports IPv6 at this time. The surprise here is what will happen when we run out of addresses: the secondary market for IP addresses will explode. As it turns out, a long time ago IANA assigned most IP addresses to a select group of Class A holders, who each got a block of about 16.8 million addresses. Companies like Ford, Eli Lilly, and Halliburton all ended up with one of these blocks. How much money do you think they can make selling them once the unassigned ones are all gone? Fall of frameworks – Is your chief Enterprise Architect your CEO’s most trusted, important advisor? No? Well, why not? After all, EA is all about organizing the business to achieve its strategic goals in the best way we know how, and the EA is supposed to know how. The problem is, most EAs are bogged down in the details, spending time with various frameworks and other artifacts, to the point where the value they provide to their organizations is unclear. In large part the frameworks are to blame – Zachman Framework, TOGAF, DoDAF, to name a few. For many organizations, these frameworks are little more than pointless exercises in organizing terminology that leads to checklist architectures. 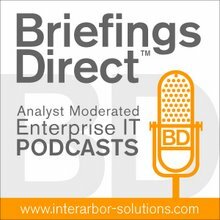 At this Crisis Point, executives get fed up, scrap their current EA efforts, and bring in an entirely new way of thinking about Enterprise Architecture. Does ZapThink have ideas about this new approach EA? You bet we do. Stay tuned – or better yet, sign up for our newly revised Licensed ZapThink Architect SOA & Cloud Architecture Boot Camp. Cyberwar – Yes, most risks facing IT shops today are security related. Not a day goes by without another virus or Windows vulnerability coming to light. But what happens when there is a concerted, professional, widespread, expert attack on some key part of our global IT infrastructure? It’s not a matter of if, it’s a matter of when. The surprise here will be just how effective such an attack can be, and perhaps how poor the response is, depending on who the target is. Will terrorists take down the Internet? Maybe just the DNS infrastructure? Or will this battle be between corporations? Regardless, the world post-Cyberwar will never be the same. As the quantity and complexity of available information exceeds our ability to deal with such information, we’ll need to take a new approach to governance. Arrival of Generation Y – These are the kids who are currently in college, more or less. Not only is this generation the “post-email” generation, they have grown up with social media. When they hit the workforce they will hardly tolerate the archaic approach to IT we have today. Sure, some will change to fit the current system, but enterprises who capitalize on this generation’s new perspective on IT will obtain a strategic advantage. We saw this generational effect when Generation X hit the workforce around the turn of the century – a cadre of young adults who weren’t familiar with a world without the Web. That generation was instrumental in shifting the Web from a fad into an integral part of how we do business today. Expect the same from Generation Y and social media. Data explosion – As the quantity and complexity of available information exceeds our ability to deal with such information, we’ll need to take a new approach to governance. ZapThink discussed this Crisis Point in our ZapFlash The Christmas Day Bomber, Moore’s Law, and Enterprise IT. But while an essential part of dealing with the data explosion crisis point is a move to governance-driven Complex Systems, we place this Crisis Point in the Democratization of Technology Supertrend. The shift in thinking will be away from the more-is-better, store-and-analyze school of data management to a much greater focus on filtering and curating information. We’ll place increasingly greater emphasis on small quantities of information, by ensuring that information is optimally valuable. Enterprise application crash – The days of “Big ERP” are numbered – as well as those of “Big CRM” and “Big SCM” and … well, all the big enterprise apps. These lumbering monstrosities are cumbersome, expensive, inflexible, and filled at their core with ancient spaghetti code. There’s got to be a better way to run an enterprise. Fortunately, there is. And once enterprises figure this out, one or more of the big enterprise app vendors will be caught by surprise and go out of business. Will it be one of your vendors? We can’t tell you specifically when each of these Crisis Points will come to pass, or precisely how they will manifest. What we can say with a good amount of certainty, however, is that you should be prepared for them. If one or another proves to be less problematic or urgent than feared, then we can all breathe a sigh of relief. But should one come to pass as feared, then the organizations who have suitably prepared for it will not only be able to survive, but will be able to take advantage of the fact that their competition was not so well equipped. The real challenge with preparing for such Crisis Points is in understanding their context. None of them happens in isolation; rather, they are all interrelated with other issues and the broader Supertrends that they are a part of. That’s where ZapThink comes in. We are currently putting together a poster that will help people at a variety of organizations understand the context for change in their IT shops over the next ten years, and how they will impact business. We’re currently looking for sponsors. Drop us a line if you’d like more information.